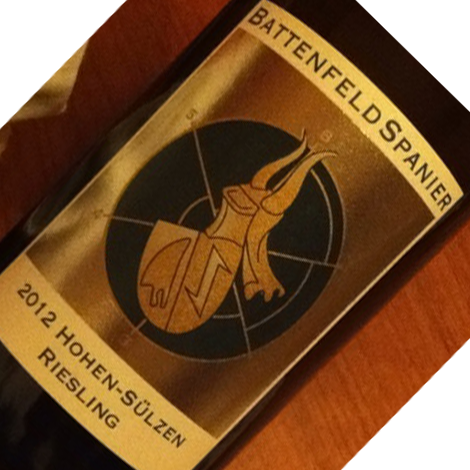 "Spanier’s 2011 Hohen-Sulzer Riesling trocken perpetuates the themes of clarity and juiciness I found exemplified by many of its immediate siblings; and its palpable density and 13% alcohol don’t preclude a welcome sense of lift. Green and smoky black tea together lend intriguing pungency to the nose as well as the satin-textured palate, where they suffuse a matrix of white peach and lemon that’s further accented with nut oils and piquant fruit pit. 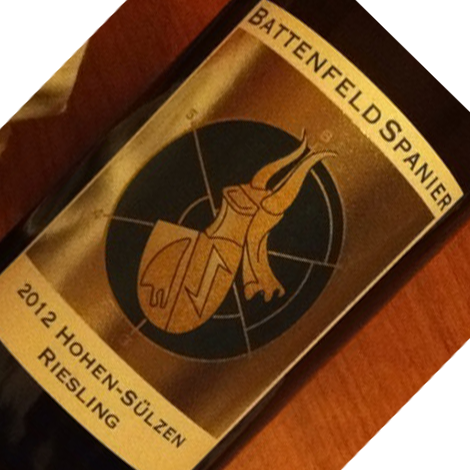 The sort of shimmering – seemingly somehow crystalline – sense of dynamic mineral display found in the corresponding generic bottling is here considerably enhanced. I would anticipate 3-5 years of satisfaction." David has rated this wine as a 90point wine with a drinking window of 2013-2018!